Microsoft’s Windows has gone from a position of clear leadership to a product viewed as outdated or declining. When Apple introduced the iPad, the tablet was born and a real threat to PC growth emerged. Windows 8 is Microsoft’s vanguard into this segment. Windows 8 allows people to customize their experience and content to how they want it. But after getting told what to do in a tablet experience by the competition, would people find this core idea appealing? Our challenge was to introduce a new way to interact with technology through Windows 8. However, just as people didn’t understand the power of tablets and touchscreens until they interacted with them, we had to show them how Windows 8 could change their experience. We wanted people to feel like Windows 8 opens a new way of looking at life, where every screen opens up a new world of possibilities. 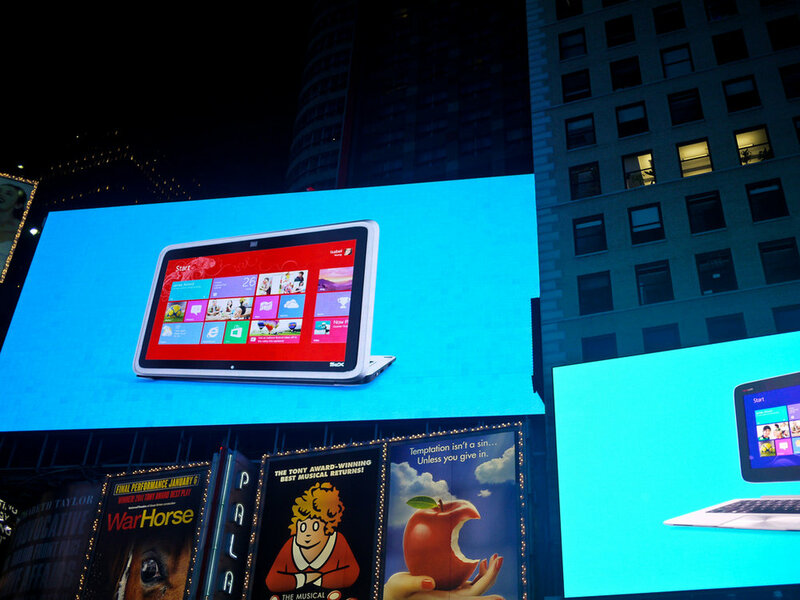 We literally turned NYC’s Times Square into “Tiles Square” on the night of October 25th for the launch of Windows 8 by fluidly synching a dynamic experience across 39 screens for 18 hours over 3 days. No one else has succeeded in creating a synched screen experience of this magnitude and scale ever before. On the ground, people could interact with Windows 8 at 20 kiosks featuring Microsoft Surfaces and other Windows 8 touch-enabled devices from partners like HP and Samsung, try out native Windows 8 versions of their favorite apps and visit the newly opened Microsoft Store in Times Square. 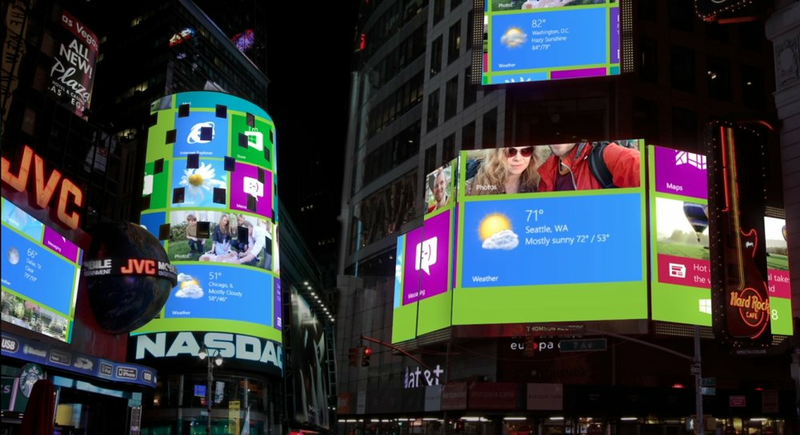 As everyone started having fun with Windows 8 devices – playing games, drawing pictures and taking photos – it went live on several of the big screens above. Microsoft had ambassadors on the ground to help people get familiar with the new OS and devices too. It was an OOH event of incredible magnitude and became the largest live event in Times Square history, according to the City of New York. Over 2 Million people attended “Tiles Square” live in New York, where we were the first to bring a synched screen experience like this into market for the largest and most complex interactive OOH event. The scale of the event extended nationally across the U.S. through digital and social media with over 20,000 online conversations and even 30% of search queries related to the event were from outside of New York.